The Staffordshire Bull Terrier is a smooth-coated dog with great strength for his size, which is typically 14-16 inches at the shoulder.. 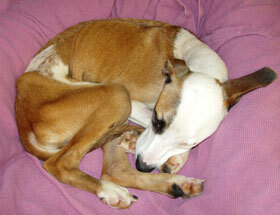 He is active and agile and comes in six color varieties: solid red, fawn, white, black, blue or brindle. These dogs range in size between 24 and 38 pounds. 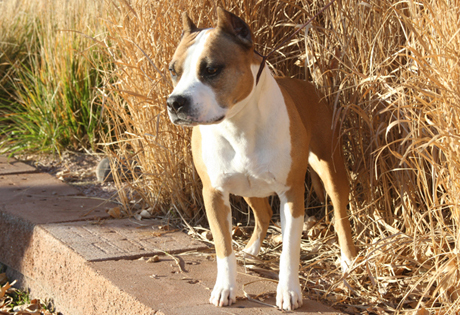 The Staffordshire Bull Terrier serves primarily as a family companion and is seen in the show, obedience and agility rings. 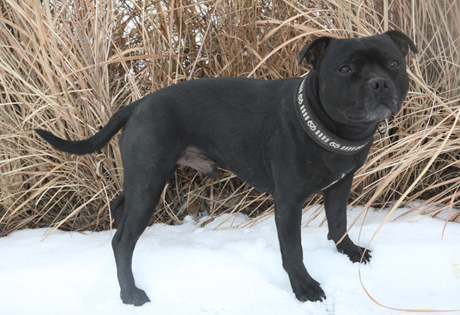 Courageous and strong, the American Staffordshire Terrier (Am Staff)’s athletic build and intelligence make him ideally suited to many dog sports such as obedience, agility, tracking and conformation. He is people-oriented and thrives when he is made part of the family and given a job to do. He is often identified by his stocky body and strong, powerful head. 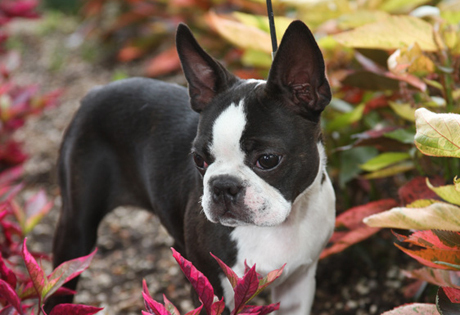 The breed’s short coat can be any color, and either solid colored, parti-colored or patched. The well-conditioned middleweight athlete of dogdom, the Boxer is a powerful dog with an intelligent and alert expression. While they are instinctive guardians, the Boxer loves to be with his people. 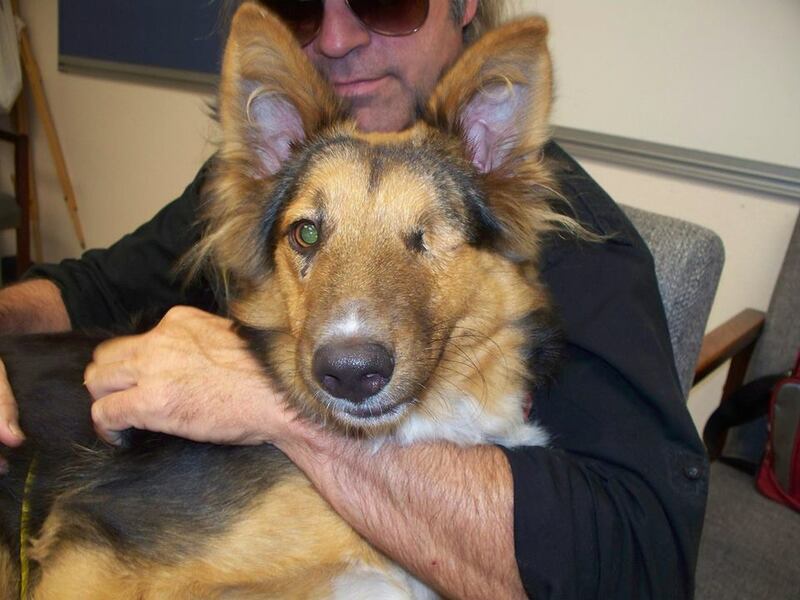 This personality has allowed them to succeed as couriers during war-time and as seeing-eye dogs for the blind. 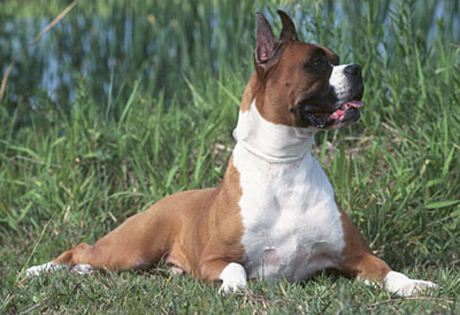 Appearing in both fawn and brindle colors, the Boxer currently ranks as one of the most popular dogs in the United States according to AKC® Registration Statistics. One of the breed’s most notable characteristics is its desire for human affection, especially from children. They are patient and spirited with children, but also protective, making them a popular choice for families. The Boxer requires little grooming, but needs daily exercise. Ranging in size from 21 ½ inches to 25 inches tall at the shoulder. The American Pit Bull is a very muscular, stocky, yet agile dog that is extremely strong for his size. The ears are generally cropped. The Pit Bull Terrier was created by breeding Old English Terriers and Old English Bulldogs together to produce a dog that combined the gameness of the terrier with the strength and athleticism of the bulldog. These dogs were bred in England, and arrived in the United States where they became the direct ancestors of the American Pit Bull Terrier. 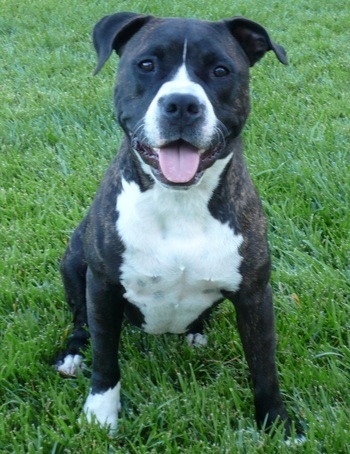 Pit Bull Terriers successfully fill the role of companion dogs, police dogs and therapy dogs. Pit Bull Terriers also constitute the majority of dogs used for illegal dog fighting in the America. 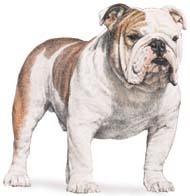 Known for their loose-jointed, shuffling gait and massive, short-faced head, the Bulldog is known to be equable, resolute and dignified. A medium-sized dog, they are not your typical lap dog, but would like to be! 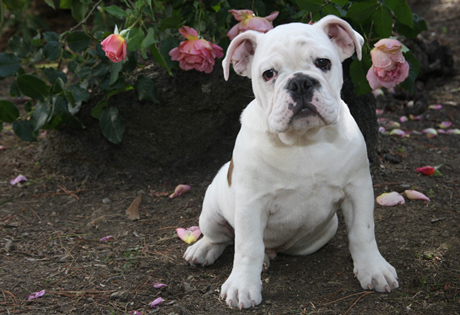 They are a popular breeds due to their lovable and gentle dispositions and adorable wrinkles. 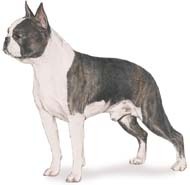 The Bulldog may be brindle, white, red, fawn, fallow or piebald. Weight is divided by classes as follows: Under 15 pounds; 15 pounds and under 20 pounds; 20 pounds and not to exceed 25 pounds. 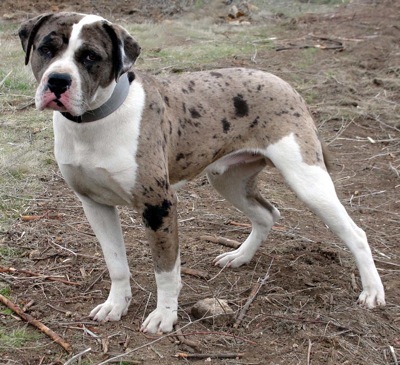 The Alapaha Blue Blood Bulldog results from three generations of an old breeding program of PaPa Buck Lane of Rebecca, Georgia. 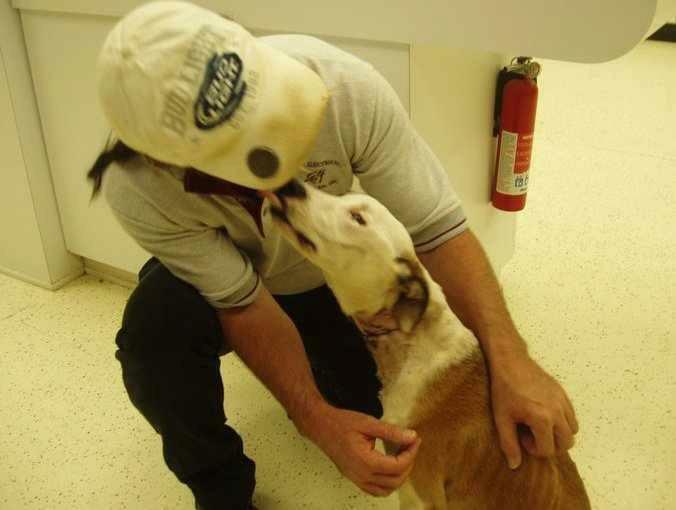 The program started back in the 1800s and was intended to rescue the “plantation dog” of southern Georgia that was nearly extinct. This rare, bulldog-type guard dog descends from Buck Lane’s dog named Otto. The Alapaha Blue Blood Bulldog is a well-developed, exaggerated bulldog with a broad head and natural drop ears. The prominent eyes are set well apart. The Alapaha’s coat is relatively short and fairly stiff. Preferred colors are blue merle, brown merle, or red merle all trimmed in white or chocolate and white. Also preferred are the glass eyes (blue) or marble eyes (brown and blue mixed in a single eye). The ears and tail are never trimmed or docked. The body is sturdy and very muscular. The well-muscled hips are narrower than the chest. The straight back is as long as the dog is high at the shoulders. The dewclaws are never removed and the feet are cat-like. There is a considerable difference between the males and females. Males can be almost twice as heavy as the smallest females.